When your business involves product delivery to customers, you need a professional New Jersey white glove delivery company on your side! 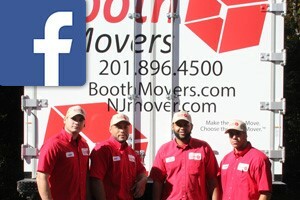 Since the 1940s, Booth Movers has been handling logistics for commercial companies with our efficient, professional New Jersey white glove services. From start to finish, you can expect the red carpet treatment when working with our exceptional team of movers and delivery drivers! As a ProMover-certified member of the American Moving & Storage Association and a recipient of the Circle of Excellence Award from the New Jersey Warehousemen & Movers Association, you can count on us to make your New Jersey white glove moving project a seamless process. Booth Movers is a trusted agent for Atlas Van Lines and, through our affiliation with this prestigious company, we have the resources, experience, and expertise needed to deliver, both to you and your customers. With our state-of-the-art equipment and the global professional reach of Atlas, Booth Movers is the premier choice for all of your New Jersey white glove service needs! For commercial needs big or small, Booth Movers has the experience and expertise to handle any logistics or relocation project! Our award-winning company employs only the best in New Jersey white glove moving professionals because providing the highest level of customer care is our top priority. From start to finish, your New Jersey white glove moving project will be a seamless process when working with Booth Movers! Commercial Moving – The experienced team at Booth Movers can keep your commercial relocation on schedule to minimize the downtime of your company. Commercial Storage – Booth Movers offers flexible short and long-term storage solutions for commercial customers at our fully-secured warehouse facility. When it comes to New Jersey white glove delivery, Booth Movers is the premier choice in the Bergen County area and beyond! To find out more information on how we can help you with your logistical needs, give us a call today or fill out our online form for a free, no-obligation estimate!